For my first travel blog post I thought I would share our sunny staycay close to home at the Miami Beach EDITION hotel. We live in South Florida, which is considered a sunny getaway for most travelers. Luckily, we don’t have to get on a plane to go where millions of tourists desire to go each year — Miami Beach. What’s great about this is we can capitalize on our crazy spontaneity. When most of our lives are held hostage to a calendar, it’s liberating to spend a couple of days simply doing what we want. We planned our staycation the day before we checked into The Miami Beach EDITION. This gorgeous hotel, a restoration of the Seville Hotel (1955), is a Marriott International property and opened its doors just four years ago. 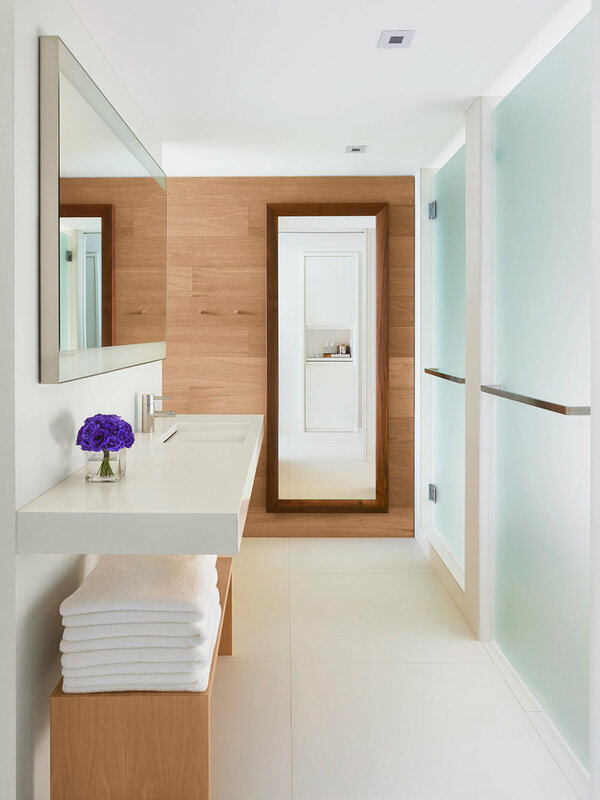 The Miami Beach EDITION fulfilled beyond our expectations and should definitely be on the top of your list when deciding where to stay on Miami Beach. 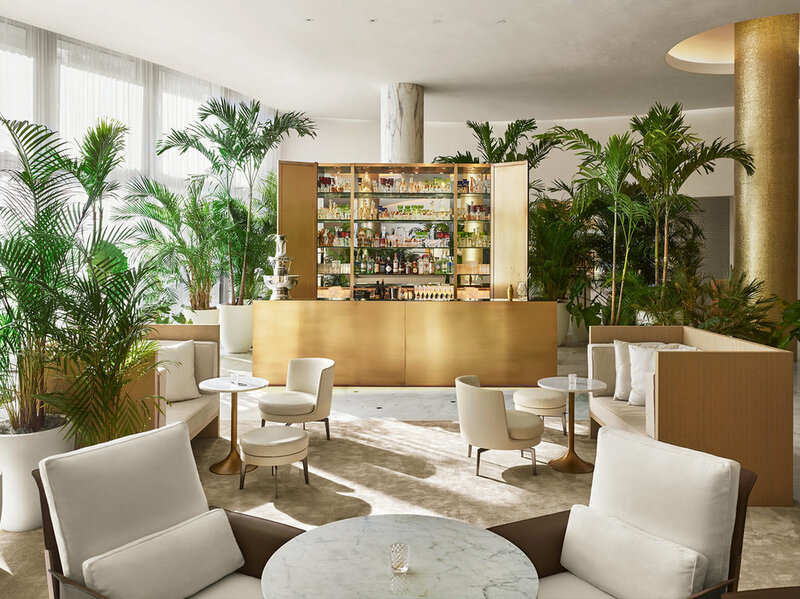 Here are 10 awesome reasons to stay at The Miami Beach EDITION. The hotel isn’t on South Beach (SOBE). The Edition is located on mid-beach which is cool when you want more of a low key relaxing stay. We have stayed on both SOBE and mid-beach before and both areas are great depending on what kind of stay you want. The EDITION was about 20 minute walk down the boardwalk from the rumbling SOBE, which you can easily walk while enjoying the white sand beach. So for best part. From the moment we drove up to the Miami Beach EDITION the service was outstanding — from the Valet, to the Front Desk Staff, and the Concierge — the service was the BOMB! Our stay would not have been the same without our Concierge, Nicholas. His personalized service was unmatched. We stayed in a bungalow room which was very easy to get to. Those rooms are located on a separate wing from the other rooms on the property. The room overlooked the beach and the view was breathtaking. 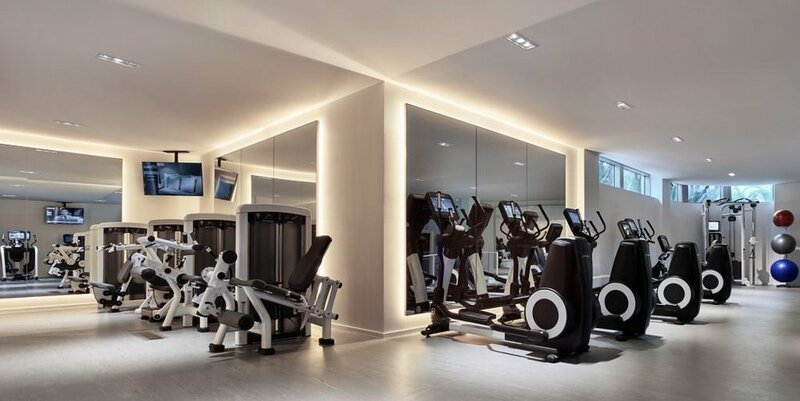 All rooms feature similar neutral-tones and are equipped with a flat screen TV, BEATS Bluetooth speakers, iPods and iPads (available upon request). There is free W-Fi access which is included in your resort fee. Yes, I said "the Lobby Area". The property has a modern but warm feel. The lobby area was vast, clean and beachy which was littered with beautiful candle lanterns at night and huge comfortable sofas to lounge on. There is a pool table and a several tables where you can use your labtop or just chill and drink some coffee. Lobby by Day. Courtesy of The Miami Beach EDITION. Lobby by Night. Courtesy of The Miami Beach EDITION . EDITION Candle. Courtesy of The Miami Beach EDITION . The Miami Beach EDITION smells so good. I have a heightened sense of smell, so when I'm in places that smell great, I take note. The fragrant aroma of this place was amazing! I mean the entire hotel smelled like a dream — more specifically a Sicilian bergamot, green tea and cedar wood dream. The Edition actual has its own fragrance candles with Le Labo at $80 a pop, which I have to say may be worth it. Even with the price tag of those marvelous candles, the Edition manages to blend casual with luxury. The fine dining restaurants on site were great. We ate at Matador Room and the more casual restaurant, Market at Edition. Both restaurants were born from the Michelin-starred chef, Jean-Georges Vongerichten. 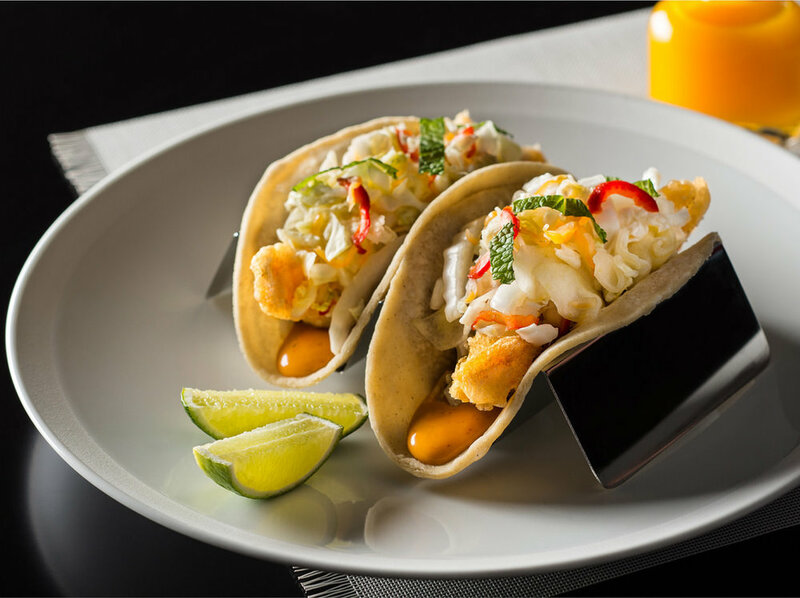 Matador Room offers Latin dishes influenced by Caribbean, Spanish, and South American flavors, where you can dine on Crispy Florida Black Grouper Tacos, Arroz con Pollo with Crackling Skin, and Charred Octopus with Crispy Potatoes. Matador Room’s rendition of grilled octopus has been the most delectable preparation I’ve had to date. On the other end of the spectrum, there is Market at the EDITION. I actually preferred the Market, which has a name befitting its atmosphere. It is a vast space with numerous dining tables and counters. We enjoyed both dinner and breakfast at this cozy spot, dining on Black Truffle & Fontina Cheese Pizza and Rigatoni & Meatballs. However, the piece de resistance was the bread (for the love of CARBS) and the Artisan olive oil served with it was YUM. (The server even wrote down the name of the olive oil for me and I can’t find the darn piece of paper. When I find it, I will share the name). For outdoor dining, Tropicale is located in the original Sundial restaurant and bar. There you can enjoy island tunes and ocean views while sipping on a Mojito. Also, the resort has 4 bars on its property, the main ones being the Matador Bar and Lobby Bar. 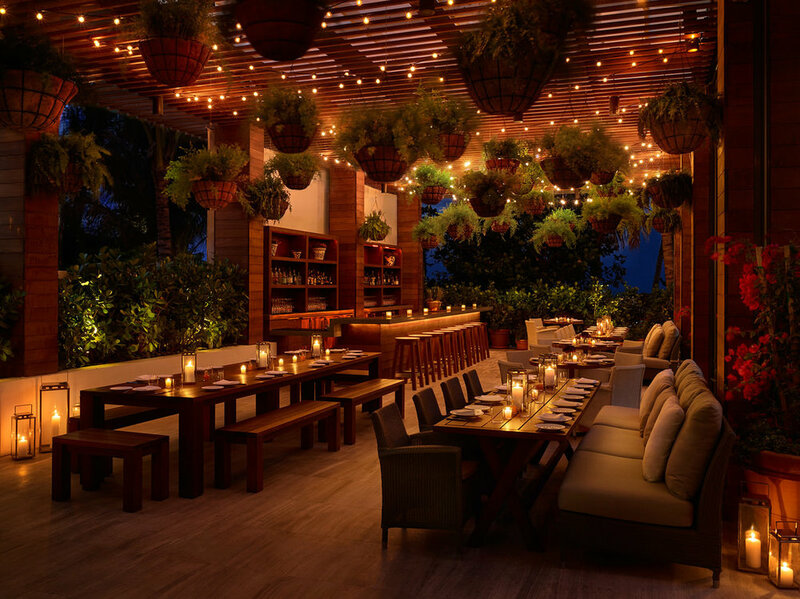 You can’t go far without finding a cocktail or good eats at the Miami Beach EDITION. 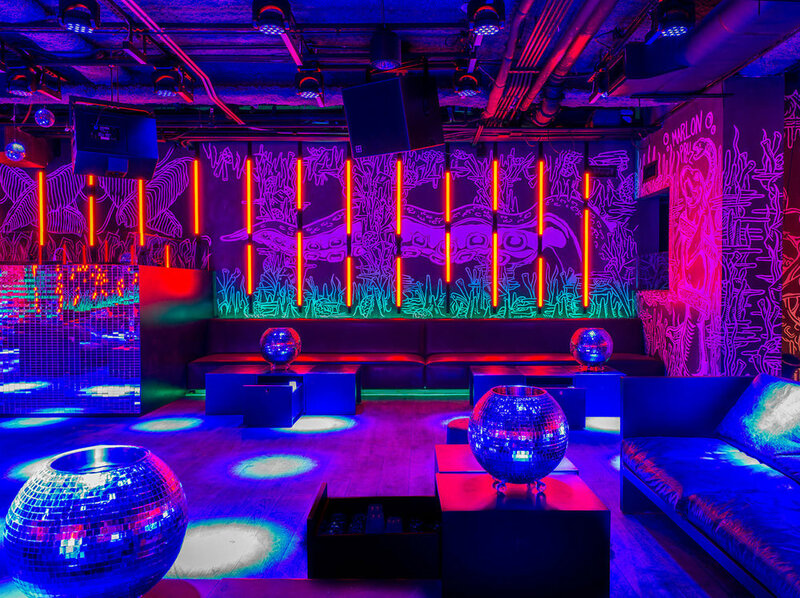 The Basement houses night club and an ice rink, bowling alley that can be enjoyed for an additional fee. When we entered the basement it was like being beamed up to another realm. We went from elegant and relaxed to cool and upbeat. We danced to hip-hop selections played by that night’s DJ and absorbed the vibrant vibes. This part of the resort was pretty impressive and warranted a return in the near future. The terrace was just amazing. It wrapped around, for what it seemed, the entire back half side of the hotel. Also, as you can see, it is home to an abundance of rich vegetation. I affectionately called it my “Rainforest”. 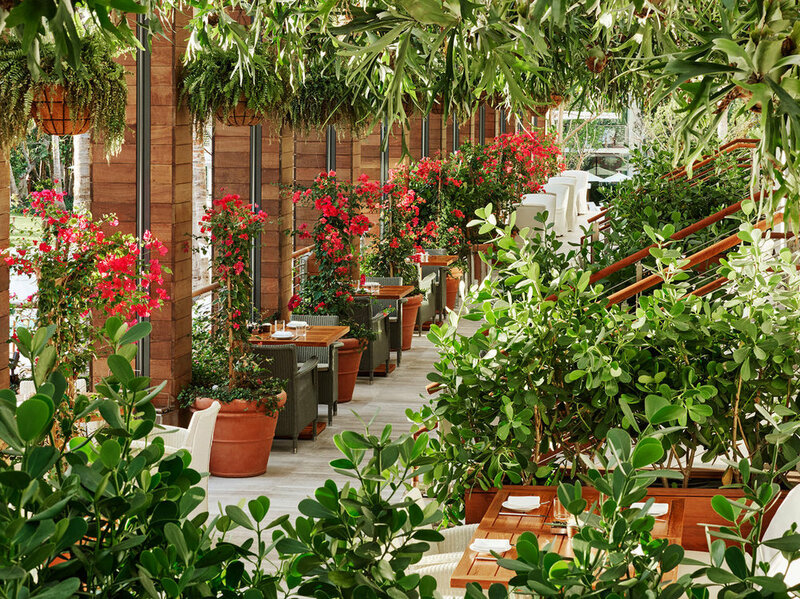 As an extension of the Matador Room, this oasis is a wonderful alternative to dining inside. What is a hotel stay without a spa visit? 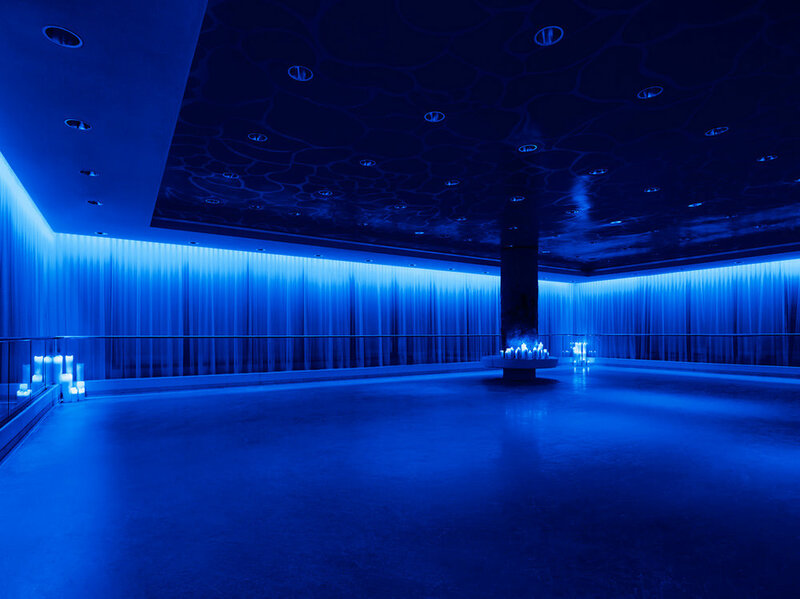 The decadent spa has a nail and hair salon, a hamman (A Turkish bath), steam room, infrared sauna. The spa menu consists of a range of services from a Detox Immersion that uses infrared detox and fresh oxygen to Man Facials. The spa was another example of the zen theme throughout the resort. The grounds were just as breathtaking as the inside of the hotel. 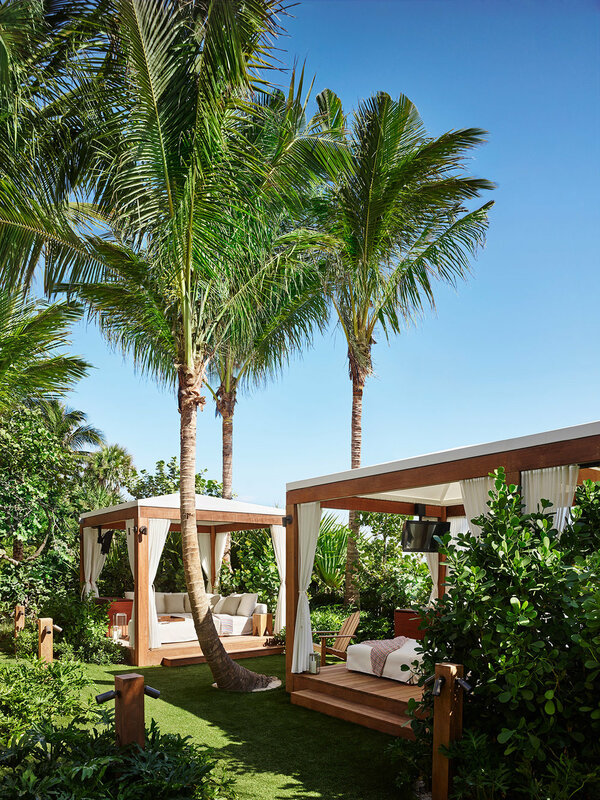 The entire verdant outdoor space at The Miami Beach EDITION is called Tropicale, inspired by the Tropicana. There are two pools at the resort. The main pool is surrounded by pool loungers and plush cabanas and is very easy to access. The second pool, once known as the Sundial (circa 1950s) is a bit more private. The cabana was one the best parts of the staycation. The resort leaves no stone unturned, with each cabana having its own flat screen TV, speaker with resort music, mini-refrigerator and private safe. Oh, the cabana service was impeccable with a very attentive wait service. Cabanas. Courtesy of the Miami Beach EDITION. Main Pool. Courtesy of The Miami Beach EDITION. 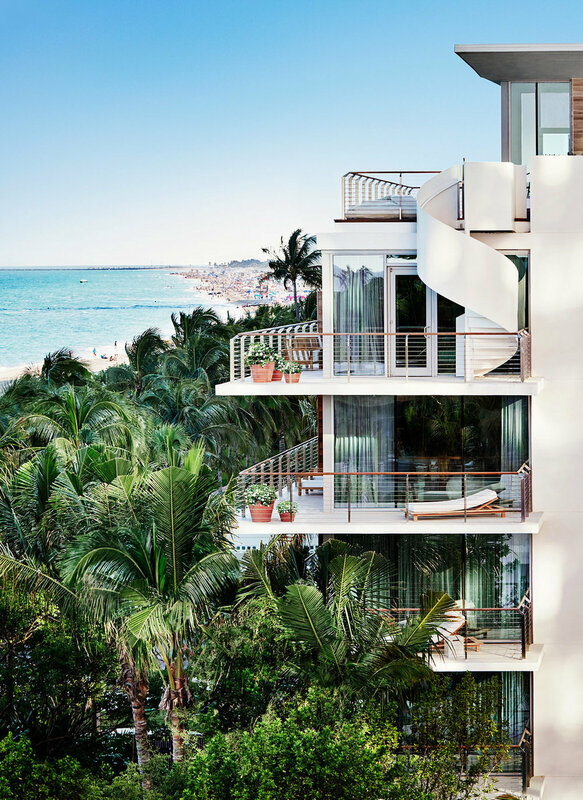 Hands down, our stay at the Miami Beach EDITION was one of our top 3 stays on Miami Beach. The luxury meets relaxed atmosphere is a great choice when deciding on a resort for your vacation or staycation.